This is intended for preschool and is part of the series "God Made It". 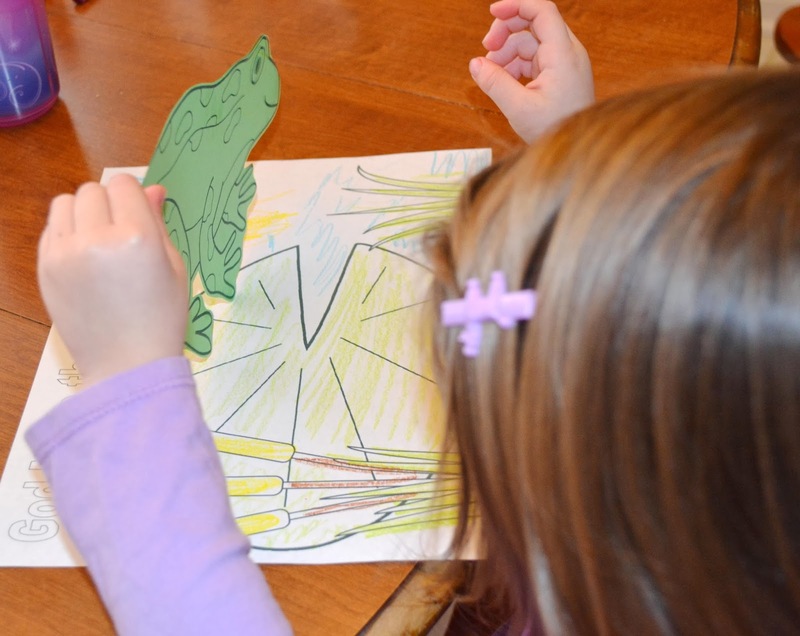 There is a file folder game, pictures to color and a life cycle chart. 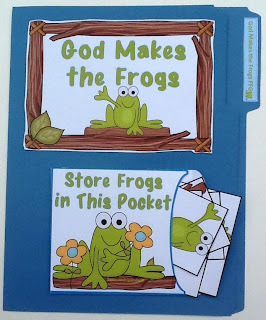 To continue the theme for God Makes everything, here is a frog file folder game. This is the inside before and after matching up the correct frogs with the cards. You can print it here. 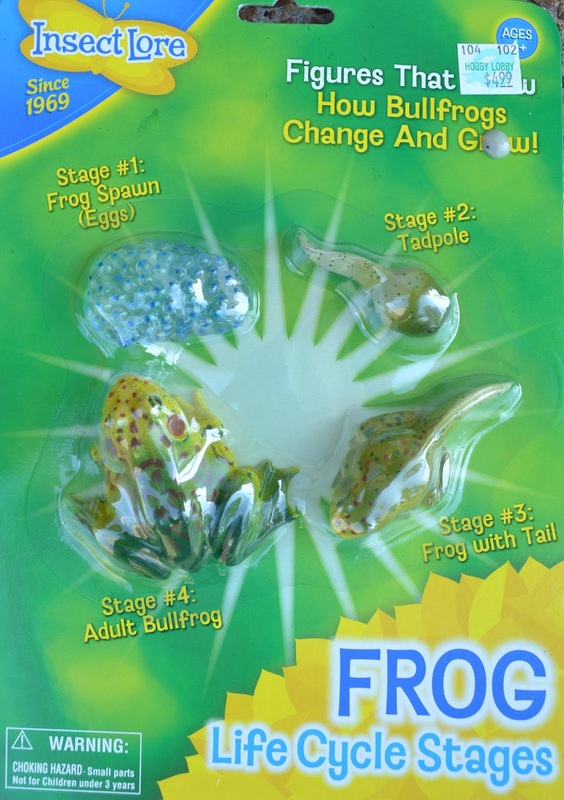 You can print this frog lifecycle chart as is in color or black & white. You can also print it as a worksheet in color or black & white. For the worksheet, the frog stages are on a separate sheet, in a box, for the student cut and glue in the proper space. Everything is on this download here. We also used this picture to color. The frog is on a different page, which I printed on green cardstock and cut out. You can either glue it on the paper, or let the kids play with it on top of the lily pad... They had a lot of fun having the frog jump around! You can print it here. You can find more frog printables at F is for Fish here. What a great collection of resources! They are so informative but appropriate for a young audience. Very nice work! This is an amazing resource for parents of preschoolers. Fun and educational! Thanks for the wonderful comment! I appreciate it! Glad you stopped by!